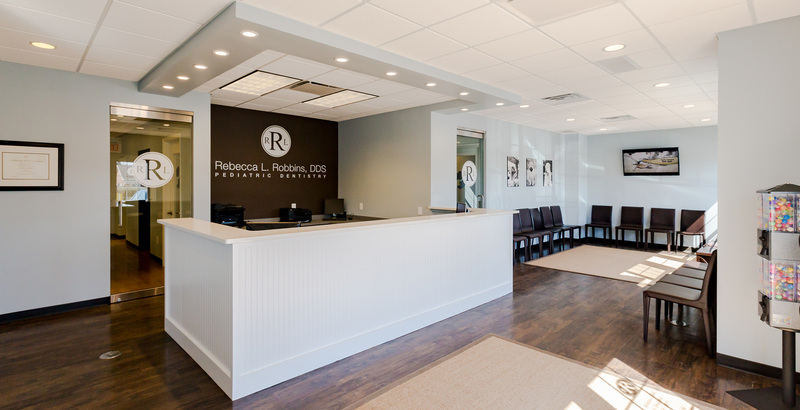 Dr. Rebecca L. Robbins is a board certified pediatric dentist, who specializes in treating infants, children, adolescents and patients with special health care needs. Our mission is to promote early prevention, education, and guidance for both the patient and the parents. Dr. Robbins is the founder of TeamSmile with the Cleveland Indians which has helped over 1,200 children of the Boys and Girls Club of Cleveland since 2014, donating $500,000 in free dental work. Our office feels like home with soft touches like bead board, granite countertops and hospital grade floors. The kids’ area in the waiting room keeps our patients entertained as do our flat screen TVs. Busy parents can stay plugged in thanks to free Wi-Fi. Make your child’s dental health a priority from day one, and establish a regular dental health routine. Our parental resources educate you on the benefits of early care and regular visits, and help parents know how to calmly handle a dental emergency.